I haven’t at all upheld my promise of blogging more often. I’ve been waiting for something really interesting to happen for me to write about. Nothing huge has happened yet, but my life has radically changed in the past month and I will now tell you all about it. 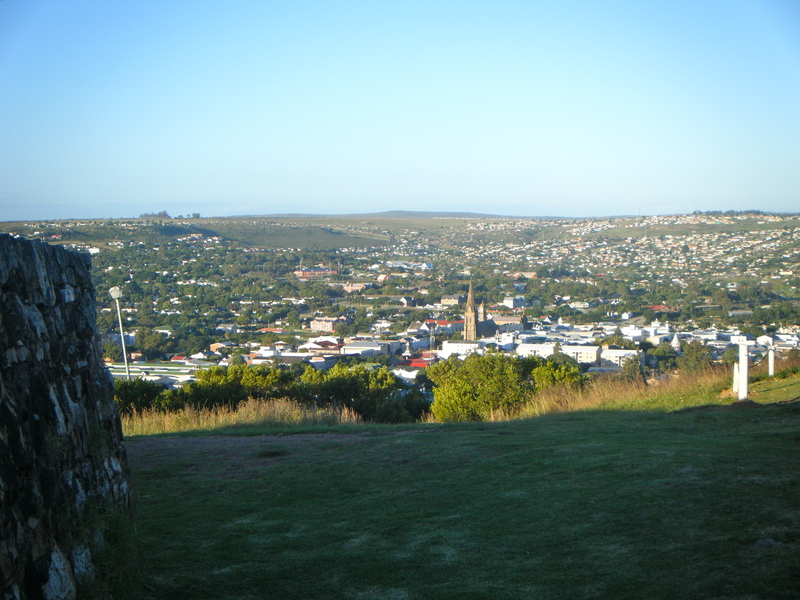 I’ve been in Grahamstown, South Africa for about two and a half weeks now. It’s a tiny town in southeastern South Africa, in a region known as the Eastern Cape. Despite its small size, there is a KFC here (KFC is big in India too, that’s so weird to me). There are also quite a few beggars. On the opposite side of the city from my college is a township, a very low-income area. Right next to the campus is “town”, which consists of grocery stores, restaurants, bars, a few shops, hotels, a small movie theater, etc. You can basically get anything you need in Grahamstown, it’s just that there’s not much to do here. 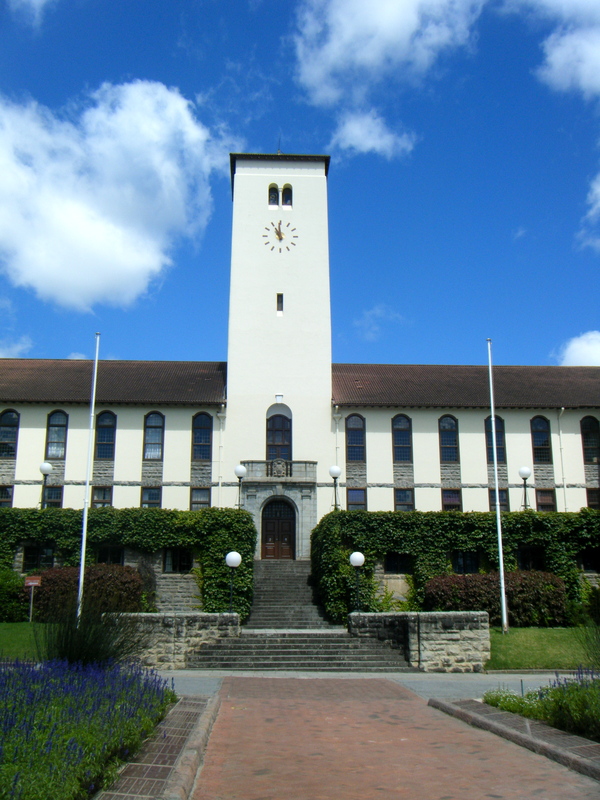 Another thing about Grahamstown is the crazy weather… When I first got here, I was told, “Welcome to Grahamstown. If you don’t like the weather, wait ten minutes.” That was pretty much a true statement. The first week I was here was called O-Week, or Orientation Week. I got all settled into my bedroom, which I have all to myself. There’s no air conditioning in my room, but that hasn’t been a problem since I leave my window open all the time. Also during O-Week, I met all the other exchange students. I’ve mostly been hanging out with the Americans, which I initially wasn’t planning on, but they’re all really cool and it’s nice to have friends who are having the same problems adjusting to a new culture as you are. My classes started last Monday. I signed up for Linguistics 1, Linguistics 2, Ethnomusicology, and isiXhosa (an African language with the click sounds). “Molweni bahlobo bam” means “hello my friends” in Xhosa. I ended up dropping Linguistics 1 yesterday because it was a review of the Intro to Linguistics class that I took in freshman year at Baylor. Unfortunately, dropping this class made me realize that if I stay at Rhodes for the whole year then I won’t be able to take as many hours as I need to graduate (it’s actually a little more complicated, but that’s the gist of it). So I’m currently in the process of trying to get out of my second semester here. I’ll be sad to leave in June/July, but I know that I don’t really have a choice so I’m just going to enjoy the semester I have here. I have a basic to-do list of things I want to do and see in Africa, consisting of bungee jumping, ostrich riding, cage diving with sharks, going on a safari, visiting cities like Cape Town and Durban, among other things. 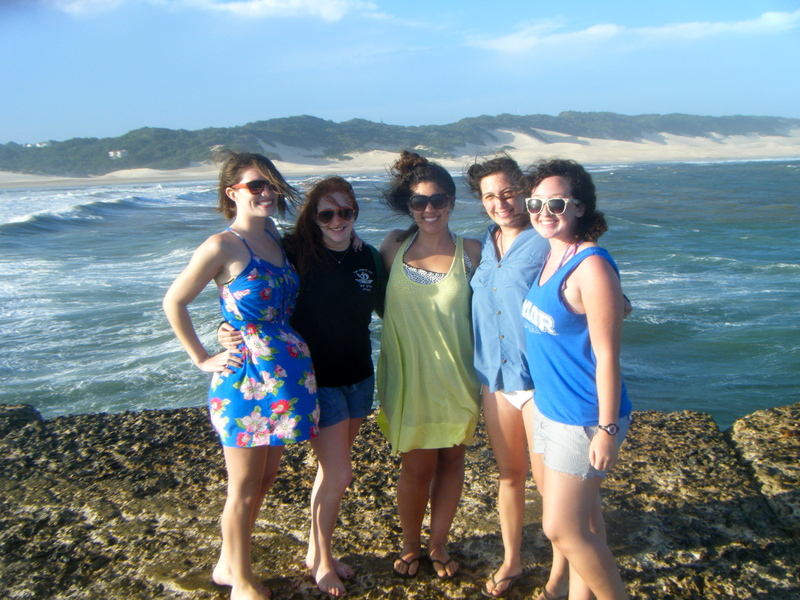 Last weekend I got out of Grahamstown for the first time when we (the Americans) rented a car and drove out to the beach. First we went to Kenton-on-Sea, and then we went to Port Alfred. I saw the Indian Ocean for the first time, and I cannot stress how beautiful South Africa is. The beaches looked like something from a postcard. That’s the extent of my adventures so far… It’s really difficult to leave Grahamstown, but I’m determined to get out into real Africa. I feel like Grahamstown is a little bubble full of American pop culture. The kids at Rhodes watch American TV shows, listen to American music, and even reference Charlie Sheen (“winning!”). So far, this country is not at all what I expected, and I am eagerly waiting to be surprised more as I start to experience more. Tomorrow I will have been in South Africa for a week, so it’s about time for a post about my new home. But first I want to write a little more about India. On Friday, my last day in the country, I woke up early and went to do a little tourist stuff around the city. 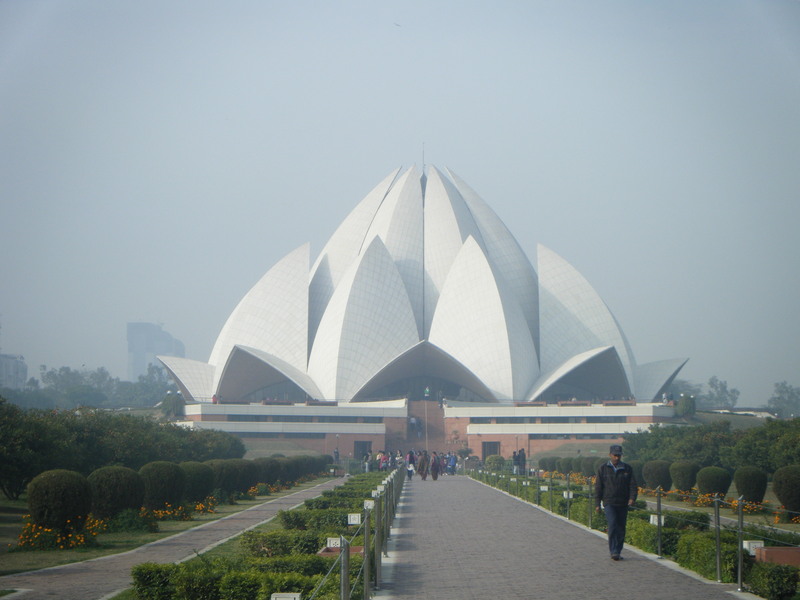 I saw the Lotus Temple, which I had never even heard of before last week, and I was very impressed. 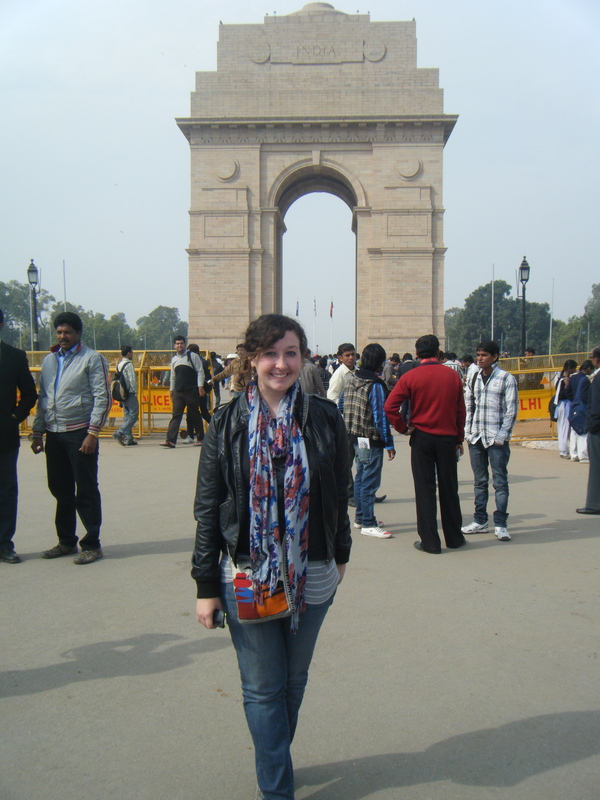 I also saw the India Gate and a few of the Indian government buildings up close. The India Gate is a monument dedicated to all the Indian soldiers who lost their lives in combat. Then I came back to the place I was living so I could spend a few last hours with my Indian family, and then my best friends Urvashi and Amit came and brought me to the airport. Saying goodbye was so difficult for me, because I have no idea when I will be able to go back to India, and I love it there so much. I could even see myself living there someday. The people are wonderful, the culture is so rich, I love the Hindi language and also the fact that there are so many other Indian languages, and of course the food is amazing. Coming to South Africa straight from India has given me quite a bit of culture shock. I think part of it comes from the fact that I wasn’t ready to leave India yet and I had kind of already adjusted to that culture. I had been going to Hindi church services and eating spicy food and taking bucket showers and I was part of a family there. Then I came to Grahamstown, a teeny tiny city where everyone speaks English and I can eat hamburgers and take real showers, and now I’m once again an independent college student. South Africa is a really beautiful country, and there is definitely a lot of culture here, but I really do miss India. One of the first experiences I had in South Africa was the two-hour bus ride with other international and first year students from the nearest airport, in Port Elizabeth, to Rhodes. It was crazy looking out the window—there were beautiful mountains and everything was so green. Another thing is that I barely saw any houses or people, and we only passed a few cars on the road. This was a huge change from India. While there were no people, I did see some zebras, rhinoceroses, and giraffes on the drive. Looking out the bus window at the crazy animals and the scenery, I kind of felt like I was in Jurassic Park or something. After arriving at Rhodes, I met some more of the exchange students and many first-years. We’ve all been going through orientation this week, signing up for classes and touring the library and going to a million different information sessions. The food here is mediocre at best and has no flavor (but to be fair, all I’ve had so far is dorm food), so that’s taking some adjustment. Basically I like it here. The people are super nice, it’s beautiful here, and there’s a lot of culture and diversity (walking around campus, I can hear people speaking Afrikaans, Xhosa, Zulu, and who knows what other languages). 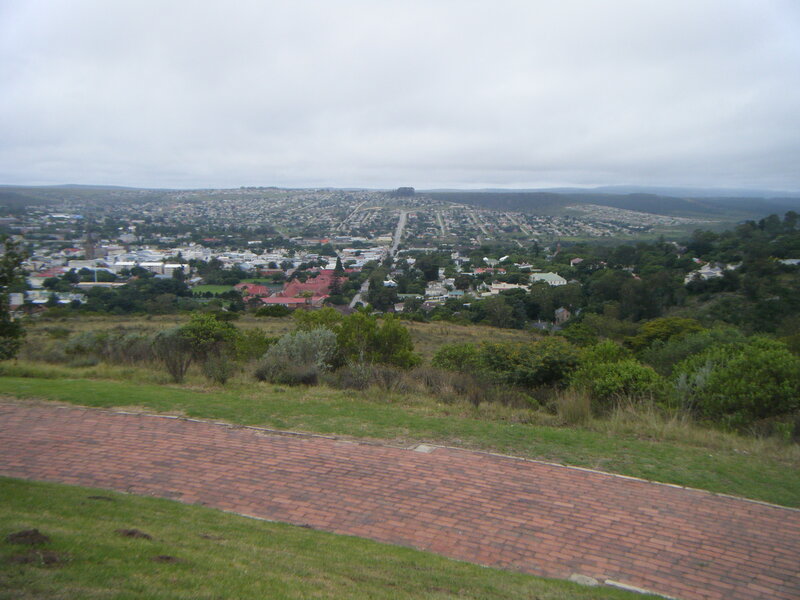 This is most of Grahamstown, taken from the top of a hill. On Monday I will start school. I’ll be taking two linguistics classes, Xhosa (an African language with the clicks), and ethnomusicology. I also plan on joining a few organizations and maybe doing some volunteer work. I’m excited about being in a new place, learning new things and meeting new people, but honestly I’m still feeling a little depressed about leaving India. p.s. I will put up more pictures of Africa in the next few days, as soon as I take them. I’m really bad about taking pictures, but I’ll work on it. One of the best things about traveling to other countries is fruit. Foreign food in general is a great thing to experience, but we can find Indian food or Ethiopian food in the US if we really want to. Foreign fruit, however, is something that can only be truly experienced in another country. Last summer I discovered lychee and mangoes, and I believe that the Indian mango industry suffered significant losses when I came back to the states. During the winter, not many fruits are in season, but I have rediscovered the banana. I have already said that I’m living with a South Indian family. Well, about two weeks ago, a box came from their relatives in Tamil Nadu (a state in the south) and it was filled with food—pomegranates, small bananas, coconuts, and South Indian snacks. I never ate bananas back home because they would always make my mouth and throat itch but they offered me one of the little bananas and I thought I might as well give it a go. I am now a banana addict. 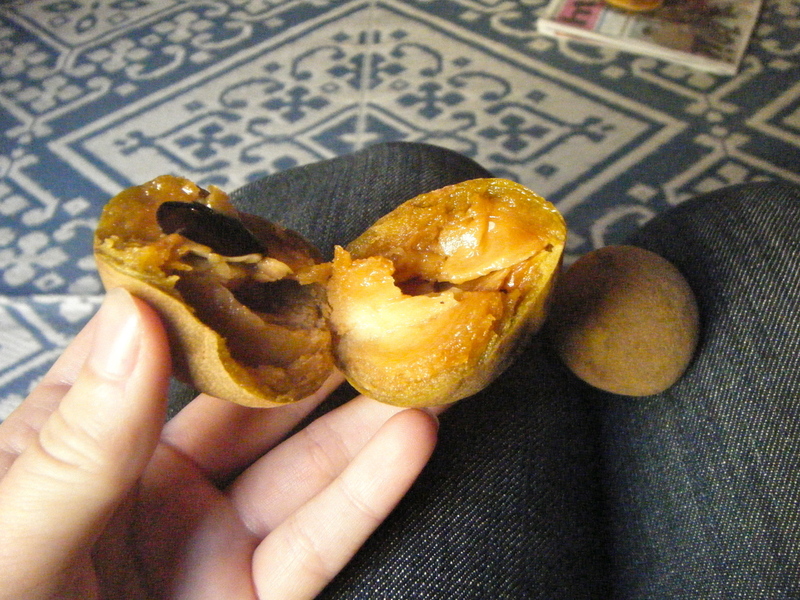 Chikoo is another fruit I have recently found. It looks kind of like a kiwi, but it’s not fuzzy, and the inside is a dark yellowish-orange color. You have to squeeze it until it pops open before you can eat it. It’s not very juicy, and the texture is maybe even grainy, but the taste is so sweet and amazing and unlike anything I’ve tried before. I went to the movies for the first time in India last night. When I first walked in the door, there was a lady who went through everything in my purse to make sure I didn’t have any candy or recording equipment. Then my friend and I went to our seats, D-14 and D-15. I really like the fact that Indian theaters assign specific seats, because it takes care of that annoying “where do you want to sit? I don’t care, where do you want to sit?” problem where no one can ever make a decision. The movie I saw was Agneepath, starring Hrithik Roshan, which is basically the new “it” movie of Bollywood right now. It’s a violent action thriller about revenge, but still it obeys the unwritten Bollywood law with a minimum of five singing/dancing scenes. So one of my life goals is to go to an Indian wedding. Last summer, I was invited to two weddings but missed them both by less than a week because I ended up having to come home early. This time, I was invited to two more weddings, both in mid-February. I’m leaving India in two days. Not cool. It really is looking like the only way I’ll ever be able to go to an Indian wedding is to have one of my own. Blogging this month has been very difficult, considering the fact that I have had no Internet access for almost two weeks. I’m sure my parents are freaking out about not hearing from me, and I want to publicly apologize for not emailing as much as I said I would. In two days, I’ll be on my way to South Africa, and I’ll hopefully be a little more technological there. Even though I’m excited to go to a new place, I’m really going to miss India—the people, the language, the food, the culture, everything. I will definitely come back to Delhi someday, hopefully sooner rather than later, and I will miss all my friends and the family that has basically adopted me while I’ve been here. This month has gone by way too fast and I wish I could stay, but I know that for now, it’s time to move on. See you in Africa!